This is in stark contrast to the accelerated growth in GDP and trade. The fall was caused in part by a 22 per cent decrease in the value of cross-border mergers and acquisitions (M&As). But even discounting the large one-off deals and corporate restructurings that inflated FDI numbers in 2016, the 2017 decline remained significant. The value of announced greenfield investment – an indicator of future trends – also decreased by 14 per cent. Cross-border M&As registered a 29 per cent decrease, with fewer of the megadeals and corporate restructurings that shaped global investment patterns in 2016. The strong decrease in inflows was in large part the effect of a return to prior levels in the United Kingdom and the United States, after spikes in 2016. FDI flows to developing economies remained stable at $671 billion. Seeing no recovery following the 10 per cent drop in 2016. The second lowest level since 2005. The decline reflects geopolitical uncertainties and sluggish investment in natural resources. Global flows are forecast to increase marginally, by up to 10 per cent, but remain below the average over the past 10 years. Higher economic growth projections, trade volumes and commodity prices would normally point to a larger potential increase in global FDI in 2018. However, risks are significant, and policy uncertainty abounds. Escalation and broadening of trade tensions could negatively affect investment in global value chains (GVCs). In addition, tax reforms in the United States and greater tax competition are likely to significantly affect global investment patterns. The global average return on foreign investment is now at 6.7 per cent, down from 8.1 per cent in 2012. Return on investment is in decline across all regions, with the sharpest drops in Africa and in Latin America and the Caribbean. The lower returns on foreign assets may affect longer-term FDI prospects. M&A values were down in the primary, manufacturing and services sectors. The fall in greenfield announcements in 2017 was concentrated in services. However, over the past five years, the level of greenfield projects in manufacturing has been consistently lower than in the preceding five-year period across all developing regions. This has important implications for industrial development. Total capital flows increased from 5.6 to 6.9 per cent of GDP, as bank lending and portfolio investment compensated for the FDI slump. Capital flows to developing countries increased modestly, from 4.0 to 4.8 per cent of GDP. It makes up 39 per cent of total incoming finance in developing economies as a group, but less than a quarter in the LDCs, with a declining trend since 2012. The modalities of international production and of cross-border exchanges of factors of production are gradually shifting from tangible to intangible forms. Sales of foreign affiliates continue to grow but assets and employees are increasing at a slower rate. This could negatively affect the prospects for developing countries to attract investment in productive capacity. Foreign value added in global trade (i.e., the imported goods and services incorporated in countries’ exports) peaked in 2010–2012 after two decades of continuous increases. UNCTAD’s GVC data shows foreign value added down 1 percentage point to 30 per cent of trade in 2017. Growth in GVC participation decreased significantly this decade compared with the last, across all regions, developed and developing. The GVC slowdown shows a clear correlation with the FDI trend and confirms the impact of the FDI trend on global trade patterns. On average 22 per cent of board members of the Top 100s are women, better than both the S&P average and national averages. It reaching $42 billion, down 21 per cent from 2016. The decline was concentrated in the larger commodity exporters. The region regained its position as the largest FDI recipient in the world. This was the first rise in six years, but inflows remain well below the 2011 peak during the commodities boom. Flows to the least developed countries fell by 17 per cent, to $26 billion. Those to landlocked developing countries increased moderately, by 3 per cent, to $23 billion. Small island developing States saw their inflows increase by 4 per cent, to $4.1 billion. In 2017, 65 countries and economies adopted at least 126 investment policy measures, of which 84 per cent were favourable to investors. They liberalized entry conditions in a number of industries including transport, energy and manufacturing. They also promoted and facilitated investment by simplifying administrative procedures, providing incentives and establishing new special economic zones (SEZs). Recently, an increasing number of countries have taken a more critical stance towards foreign investment. New investment restrictions or regulations in 2017 mainly reflected concerns about national security and foreign ownership of land and natural resources. Some countries have heightened scrutiny of foreign takeovers, in particular of strategic assets and technology firms. Several countries are considering tightening investment screening procedures. The number of new international investment agreements (IIAs) concluded in 2017 (18) was the lowest since 1983. Moreover, for the first time, the number of effective treaty terminations outpaced the number of new IIAs. In contrast, negotiations for megaregional agreements maintained momentum, especially in Africa and Asia. In 2017, at least 65 new treaty-based ISDS cases were initiated, bringing the total number of known cases to 855. By the end of 2017, investors had won about 60 per cent of all cases that were decided on the merits. Since 2012, over 150 countries have taken steps to formulate a new generation of sustainable development-oriented IIAs. For example, some have reviewed their treaty networks and revised their treaty models in line with UNCTAD’s Reform Package for the International Investment Regime. An increasing number of countries are, for example, issuing interpretations or replacing their older agreements. Countries have also been engaging in multilateral reform discussions, including with regard to ISDS. The last step in the reform process (Phase 3) is to ensure coherence with national investment policies and with other bodies of international law. Striving for coherence does not necessarily imply legal uniformity – inconsistencies and divergence may be intended – but different policy areas and legal instruments should work in synergy. UNCTAD’s global survey of industrial policies shows that, over the past 10 years, at least 101 economies across the developed and developing world (accounting for more than 90 per cent of global GDP) have adopted formal industrial development strategies. The last five years have seen an acceleration in the formulation of new strategies. 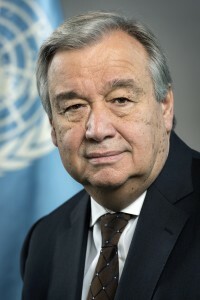 Addressing new themes and including myriad objectives beyond conventional industrial development and structural transformation, such as GVC integration and upgrading, development of the knowledge economy, build-up of sectors linked to sustainable development goals and competitive positioning for the new industrial revolution (NIR). Some 40 per cent of industrial development strategies contain vertical policies for the build-up of specific industries. Just over a third focus on horizontal competitiveness-enhancing policies designed to catch up to the productivity frontier. And a quarter focus on positioning for the new industrial revolution. Mainly incentives and performance requirements, SEZs, investment promotion and facilitation and, increasingly, investment screening mechanisms. Investment policy packages across the three models use similar investment policy instruments with different focus and intensity. In fact, more than 80 per cent of investment policy measures recorded since 2010 are directed at the industrial system (manufacturing, complementary services and industrial infrastructure), and about half of these clearly serve an industrial policy purpose. Most are cross-industry; about 10 per cent target specific manufacturing industries.
. Significant progress has been made in making incentives more effective instruments for industrial development. About two-thirds of incentives schemes applicable to manufacturing target multiple or specific industries, and even horizontal schemes tend to focus on defined activities, such as research and development (R&D), or on other industrial development contributions. Performance requirements (mostly conditions attached to incentives) are also widely used to maximize MNE contributions to industrial development, but much of their functionality could be achieved by better designed, cost-based incentive mechanisms. In most countries, the transition from pure export processing zones to value added zones continues, and new types of zones are still emerging. Targeted strategies to attract specific industries and link multiple zones have supported industrial development and GVC integration in some countries that have adopted build-up and catch-up industrial policies, although enclave risks remain. High-tech zones or industrial parks are also becoming a key tool for NIR-driven industrial policies. That until recently played a secondary role in investment policy frameworks. Many developing countries have made investment facilitation one of the key horizontal measures in industrial development strategies. Targeted investment promotion (beyond incentives and SEZs) also remains important: two-thirds of investment promotion agencies (IPAs) are guided by industrial policies in defining priority sectors for investment promotion, and three-quarters have specific promotional schemes to upgrade technology in industry. Manufacturing sectors are rarely affected by outright foreign ownership restrictions except in highly sensitive industries. However, restrictions remain common in some infrastructure and services sectors that are relevant for industrial development. Most measures adopted over the past decade have removed or relaxed foreign ownership restrictions, but entry rules – or rather procedures – have been tightened in some cases through new screening processes or requirements. Different industrial policy models imply a different investment policy mix. 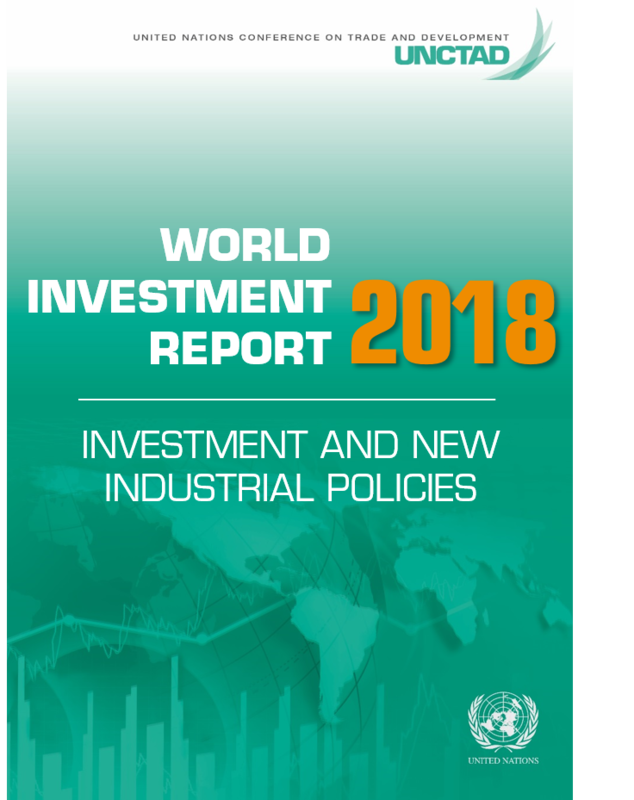 Build-up, catch-up and NIR-based industrial policies emphasize different investment policy tools and focus on different sectors, economic activities and mechanisms to maximize the contribution of investment to the development of industrial capabilities. The investment policy toolkit thus evolves with industrial policy models and stages of development. Modern industrial policies, be they of the build-up, catch-up or NIR-driven variety, tend to follow a number of design criteria that distinguish them from previous generations of industrial policies. These include openness, sustainability, NIR readiness and inclusiveness. In line with these developments, countries need to ensure that their investment policy instruments are up-to-date, including by re-orienting investment incentives, modernizing SEZs, retooling investment promotion and facilitation, and crafting smart mechanisms for screening foreign investment. The new industrial revolution, in particular, requires a strategic review of investment policies for industrial development. For modern industrial policies to contribute to a sustainable development strategy, policymakers need to enhance their coherence and synergy with national and international investment policies and other policy areas, including social and environmental policies. They need to strike a balance between the role of the market and the State, and avoid overregulation. They also need to adopt a collaborative approach, open to international productive-capacity cooperation, and avoid beggar-thy-neighbor outcomes.